A guided spring flower walk was led by Fiona Watson on Saturday 19 September on Meadowridge Common. 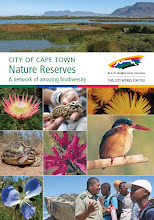 Meadowridge Common, our conservation area, is included in the 2009 edition of the booklet, City of Cape Town Nature Reserves, a network of amazing urban biodiversity. We have identified 137 species of indigenous flowering plants on this small 7 ha open space and four of these are in danger of extinction in South Africa. We are working hard to conserve this heritage gem but for a small area where many species are present in very small numbers the challenges are great. Extremes in climate, trampling and dogs’ digging can easily wipe out a species, as has already happened to seven on the Common. What are doing to meet this challenge? Propagating plants from the Common to augment their numbers; rehabilitating and creating a seasonal wetland; erecting bollards around sensitive areas. The range of plants in flower varies over the spring months as does the time of day when they are open. 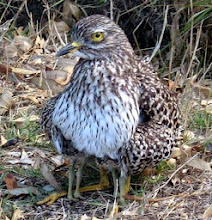 More are late risers, opening in the afternoon, hence our walk being scheduled for 14h00. August is the time to view Oxalis species in their bright colour: rose-pink Oxalis purpurea, yellow Oxalis pes caprae, white with red on the reverse Oxalis versicolor (photo below) and a profusion of Oxalis obtusa. Mauve babianas are a delight with their splashes of red and white. 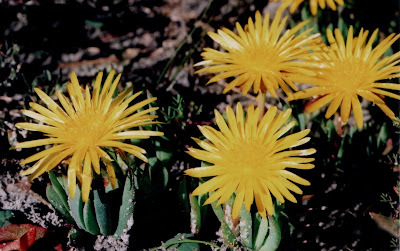 The Lampranthus reptans flowers (photo above) glow like golden dollars on their spreading stems. They continue to flower in September. 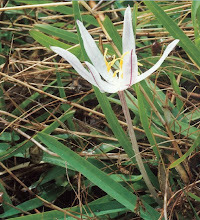 September sees members of the Romulea genus revealing their deeply-coloured red, mauve and orange species. 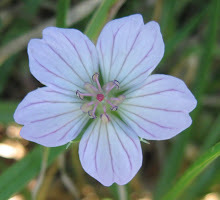 Dainty white trachyandras drag themselves out of bed to open in the afternoons as do the sky-blue Heliophila africana. White botterblom, Sparaxis bulbifera, yellow daisies, Senecio littoreus, and Ursinia anthemoides provide sheets of colour. In October yellow Moraea fugax comes into its own. These are but a few of the many flowers on display. 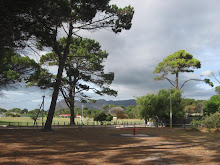 Walks are free of charge but if you wish to support us by becoming a member of Friends of Meadowridge Common, receive our newsletters and our full colour broadsheets and attend talks arranged at Meadowridge Library, it only costs R25 for a year's membership. For any queries feel free to phone Mrs Fiona Watson at 021 712 0696. 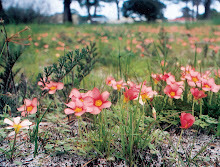 TOP: Lampranthus reptans, the Cape Flats Vygie. Photo: Fiona Watson. ABOVE: Sugarstick Sorrel, Oxalis versicolor. Photo: Caroline Voget.